The internet has been buzzing recently with debate over the political message of the latest installment in The Hunger Games film series. Commentators from both the left and the right have been quick to embrace Catching Fire as representative of their views, and some have even go so far as to insist that the film has a potential to start a revolution among young viewers. We’re going to get in on this debate in our usual fashion –that is, circumventing most of it by highlighting undiscussed elements in a bid to be “fresh”. Surprisingly, across the vast online material debating the political implications of the film, the significance of the hunter games being a televised exhibition and of Katniss’s task to perform before the media is rarely discussed. The premise of exhibition via mass media is central to the series and to get the most out of the films’ political themes it’ll be this premise that we’ll examine in relation to the theory of simulation. We’re going to argue that more than just a commentary on the struggles of economic inequality and government expansion, the hunger games at its heart speaks of the current battle over simulation. It goes without saying; there are SPOILERS from the first two films below. So if you haven’t watched or read the series yet because you’ve been living under a rock, or because you’re not writing a blog about the latest installment, let me get you up to speed. The series is set in a dystopian future where North America, referred to as Panem, has been divided into 13 districts that are ruled tyrannically by the rich Capital district. This neo-feudal system is characterized by colossal economic inequality and strong-handed government power. Each year, a televised gauntlet called the Hunger Games is held as a brutal remembrance of the failed rebellion attempted by the 12 districts against the capital 75 years before the storyline of the first film. In a show of power and punishment by the Capital, each district must provide two adolescents as tributes to compete in the hunger games in which there can be only living victor. Enter Katniss –the 16-year-old sharp-shooting bow-wielding protagonist who volunteers herself as a tribute when her younger sister is randomly drawn for the games. Katniss’s involvement in the hunger games proves to be historic when she and Peeta, her sometimes-friend-othertimes-lover-but-what-about-Gale-its-complicated-sack-o’-flour-throwing fellow tribute from District 12, refuse to kill each other when they are the remaining two competitors and instead opt for a suicide pact. Fearing backlash from the audience that has grown to love Katniss, the gamemakers bend the rules and allow for a two-person victory. This outcome is perceived as an act of defiance and inspires rebellion in the districts, for which Katniss must account for –we are told by President Snow in the beginning of the second film. Catching Fire thus brings Katniss into the political landscape where she struggles with being perceived as a symbol of the rebellion, with pretending to be a Capital loyalist, and with preserving the safety of her family and friends. After witnessing the harsh cruelty of the Capital and competing in the hunger games once again, Katniss’s struggle soon becomes a struggle against the Capital. The readiness of this universe for wide-spectrumed political reading is straight-forward. On one hand, you have an exaggeratedly wealthy and detached minority using their economic prowess to dominate, oppress, and exploit a poor laboring majority. On the other, you have a large militarized and centralized government watching and controlling the districts while stripping away liberties and demanding contributions. In the first case, the situation fits easily into the 99% discourse, as many commentators from the left have made comparisons between economic inequality in Panem and the economic inequality and consequential hold of Big Money on US politics. Actor Donald Sutherland, who plays President Snow and who is known to have been a leftwing activist in the 1960’s, has stated in an interview with the Guardian that he hopes the hunger games will stir-up revolt among adolescents in the US. In the second case, Panem can be taken as a realization of the police-state fears many right-leaning people in the US have regarding the changes they see their country undergoing, especially among members and supporters of the Tea Party. Conservative blogger Christian Toto has resembled “Snow’s willingness to do whatever it takes to get his way” to the recent “nuclear decision by Senate Democrats” to end the filibuster and to the Obama administration’s use of a “weaponized IRS” to target the Tea Party. Most of these analyses and blogs, however, refer primarily to the political context in the background of the films and seldom to Katniss’s actions and challenges. Rarely are the actual hunger games themselves discussed and most political comments refer to events outside Katniss’s main story-line. Meaning, there’s a lot of space for us to play with. The Hunger Games series is set apart from other young adult fiction series by it’s revolving around reality TV. Surviving in the arena not only requires survival and combat skills, but also expertise in appealing to the audience and acting before the cameras –not just to outsmart the gamemakers but to elicit the help of sponsors. Furthermore, the importance of performance and symbolic presentation is a constant concern for survival for Katniss not just in the arena but during tours, ceremonies, and talk shows. Often, Katniss must act exteriorly in ways she does not agree with interiorly, or take actions not for the sake of their immediate effects but for the consequences they will induce by being televised. As such, Katniss’s utterances and actions are always mediated, or simulated. What exactly is simulation? And what does it imply for Katniss and her struggle? To answer these questions, we’re going to once again elicit the help of our sponsor Jean Baudrillard. One does not simply blog once about Baudrillard. Last week we used Baudrillard’s writings on the end of history to look at Seinfeld and How I Met Your Mother and help us determine whether the end of history had actually ended. 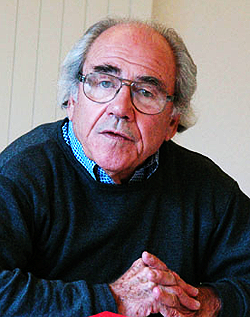 With such an extensive and relevant span of writing, it’s not too hard to find another piece of work by Baudrillard that relates to our discussions. In his Simulacra and Simulation, Baudrillard argues that contemporary society has replaced reality and meaning with signs and symbols making it so that our experience of reality is an experience of a simulation of reality. Media has proliferated to a degree where its function goes beyond communication to representation, only now the distinction between the representation and the source of the representation has been so blurred that we can no longer differentiate between mediated reality and unmediated reality –a news report of a conflict is as real of an event to the viewer today as is the conflict itself. Let’s break this down. Baudrillard argues that there are four stages of the sign. The first stage of the sign is where the sign is held as a faithful copy or image of the entity in reality two which it refers –an example is a sacred object or text. The first stage sign is seen to accurately depict a meaningful reality to us. In the second stage, the sign is a distortion of a meaningful reality. The sign is seen to inaccurately represent reality to us and instead implies that there exists a meaningful reality which cannot be captured by the sign –an example would be a copy of the Mona Lisa. During the third stage, the sign masks the lack of a meaningful reality. The sign appears to be a faithful copy of the real, but this only hides the fact that there isn’t an original to copy. This only becomes possible during the age of mass production where the mass-reproducibility of the commodity threatens the notion of an original. An example would be the automotive industry where the task of differentiating two Ford “T” model cars on the basis of one being a copy and the other an original becomes increasingly difficult. Finally, under the fourth stage the sign no longer represents a meaningful reality nor claims to do so. In this stage, which Baudrillard holds as our contemporary stage, the sign does not refer to a meaningful reality but to another sign which supposedly refers to reality but actually doesn’t. A dominant example of the sign of the current era is the model, i.e. the model home, the model body, the model business plan. The model itself does not stand as something original but as something infinitely reproducible. In other words, the model is itself a copy, or a reference. Because the model is designed first –such as a computer generated model of a car chassis- the copy is designed before the original. Thus, because the copy precedes the original, the idea of a meaningful original becomes senseless and so the original is destroyed. Without an original to refer to, we end up with one sign referring to another sign which refers to another sign which refers to another sign in an infinite circuit loop -cue Inception horn: BRAAAAM. These signs which represent things that no longer have an original to refer to, or never did have an original to refer to, are called simulacra. Everything, argues Baudrillard, is mediated through simulacra; all of our everyday experiences are simulated. BRAAAAM. Does that mean we’re stuck chasing our tails? No, because this is where our figurative DiCaprio – French philosopher Gilles Deleuze- comes in. Come back tomorrow to find out what Deleuze has to say about simulation and to see what all this has to do with Katniss’s battle, Rue’s whistle, Captain Thread’s whipping post, and the Gulf War.